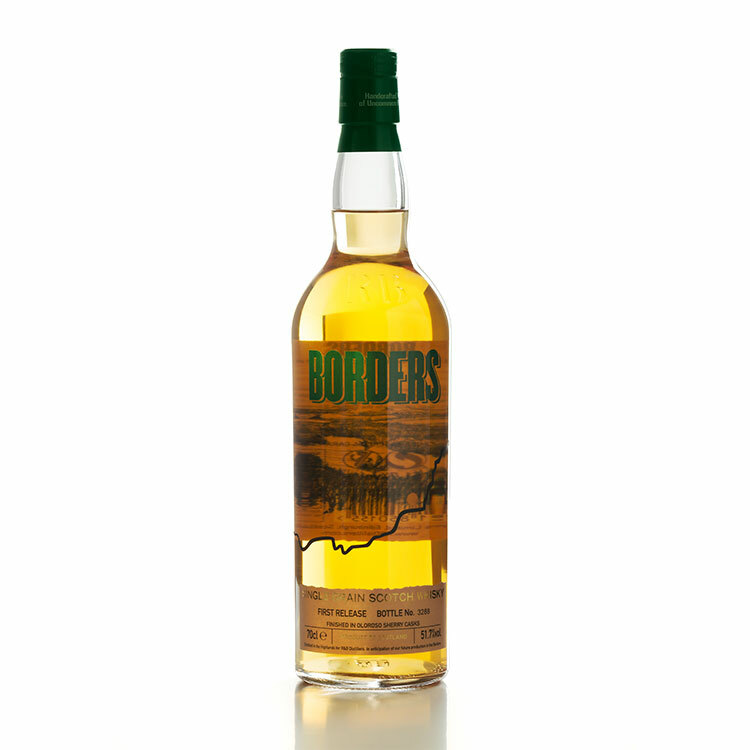 Borders – First Release; a highland single grain Scotch whisky, 51.7% abv, natural colour, non-chill filtered. 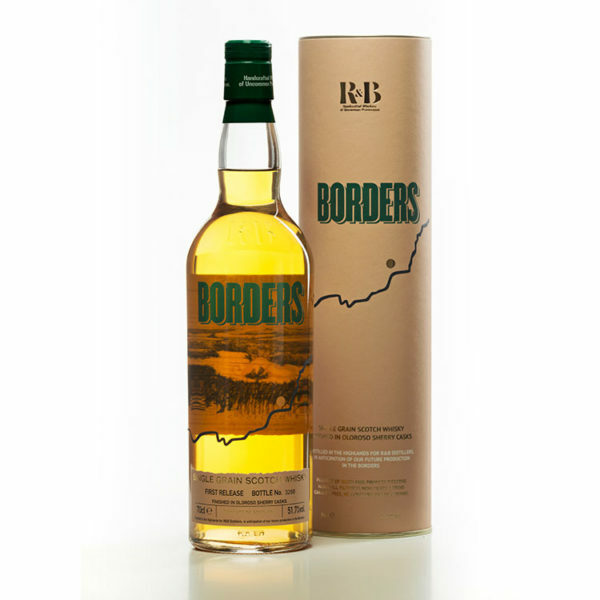 The last chance to buy one of the remaining 36 bottles of Borders – First Release Single Grain Scotch Whisky, one of the first products released by our parent company R&B Distillers. 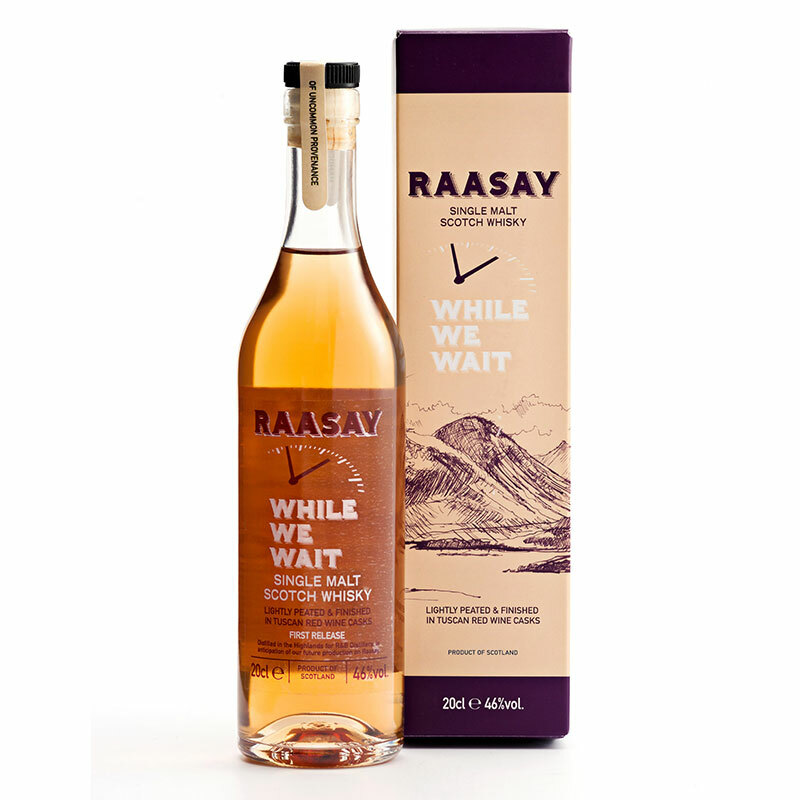 An uncommon composition, the only single grain Scotch Whisky to contain 50% wheat & 50% malted barley from one highland distillery, finished in Oloroso Sherry casks to represent the style of our future Borders distilling. Apples and mushy pears. Tangerine, peach and a hint of strawberries mixed in with notes of the rich Sherry. 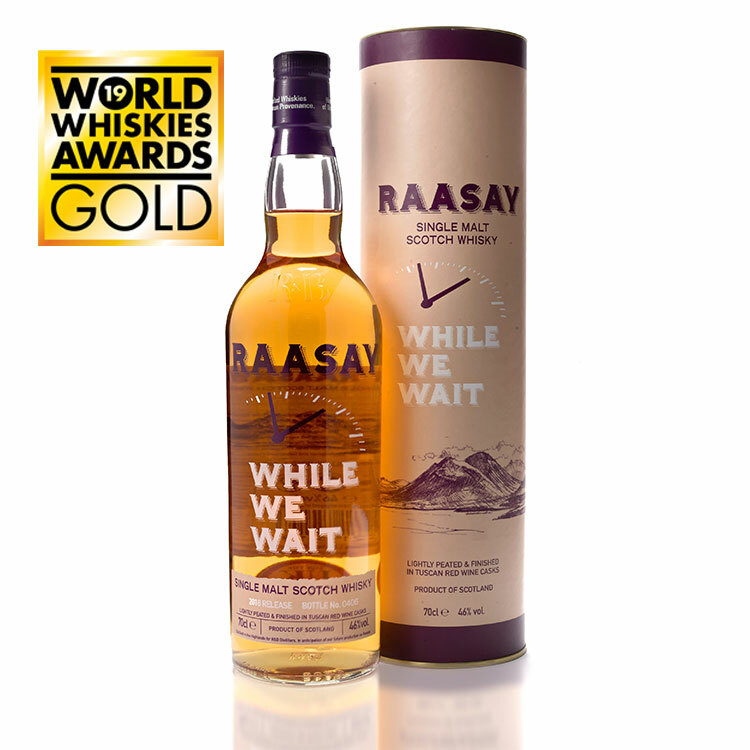 Natural colour, lightly golden taken from sherry finishing casks. 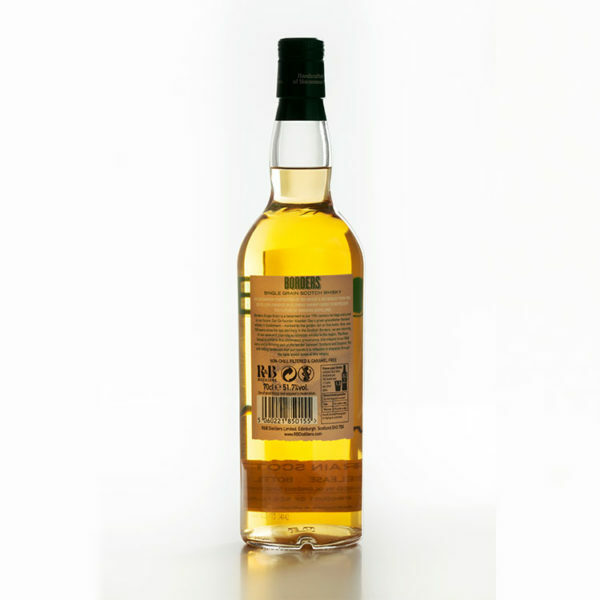 At first big notes of the Sherry come through followed by apple, mineral mid palate. Lemon and orange, honeycomb and Bourbon biscuits. Pairs well with Cocoa Black dark praline chocolates.